PPoPP 2018 will be held at the Austria Trend Eventhotel Pyramide. The link for booking rooms is here (german version). 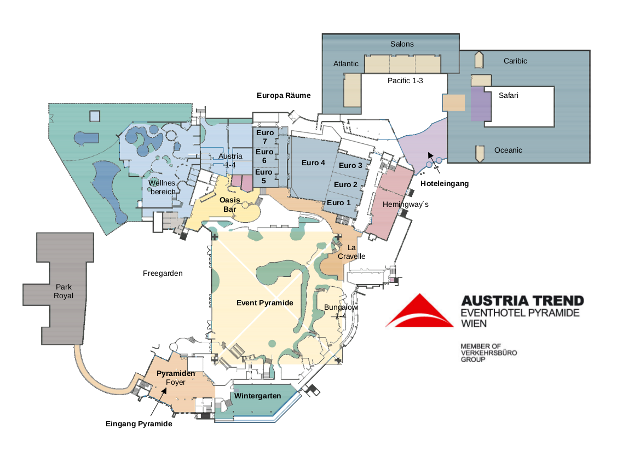 The hotel can be reached from the Vienna State Opera, down town Vienna, in just 30 minutes by public transport. You have to enter the hotel at the “Hoteleingang”, the “Eingang Pyramide” is usually closed.